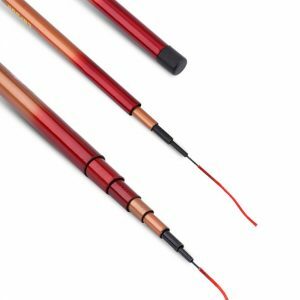 Glass fiber reinforced rod with engineering plastic reel seat. 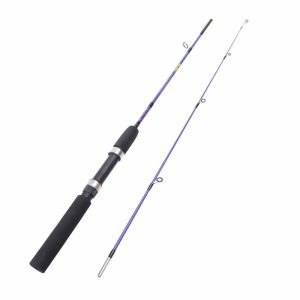 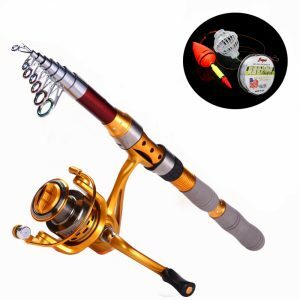 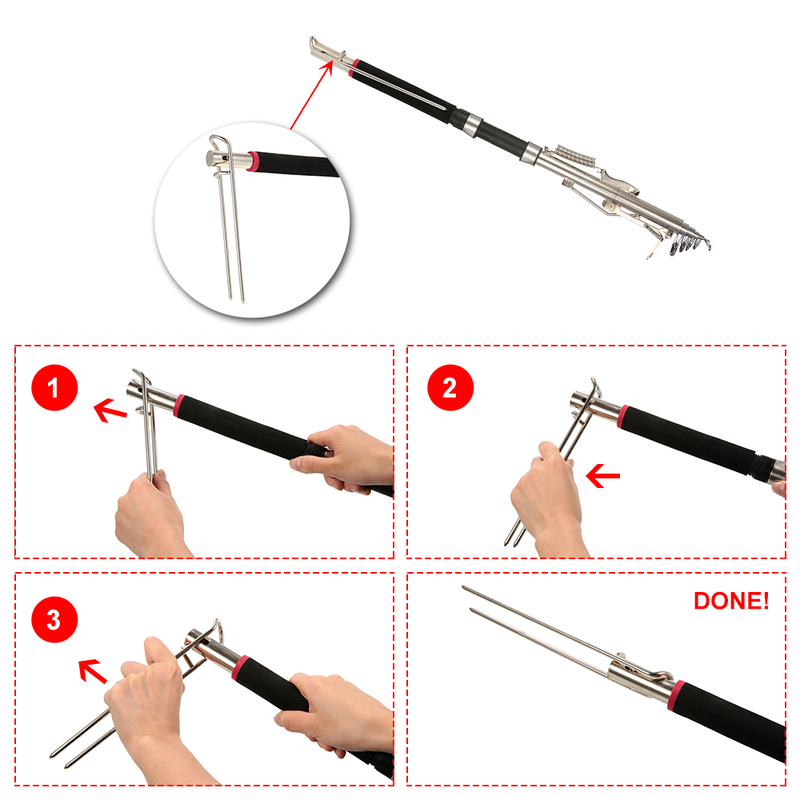 Durable stainless steel fishing rod for long-term use. 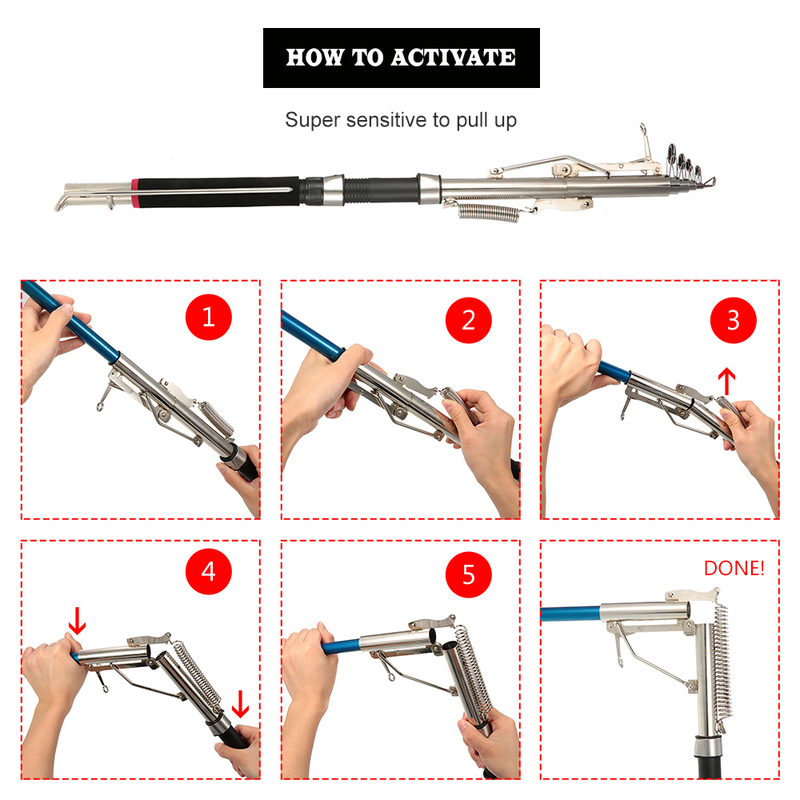 EVA Foam handle for comfort and grip. Fishing Rods are becoming more and more sophisticated. 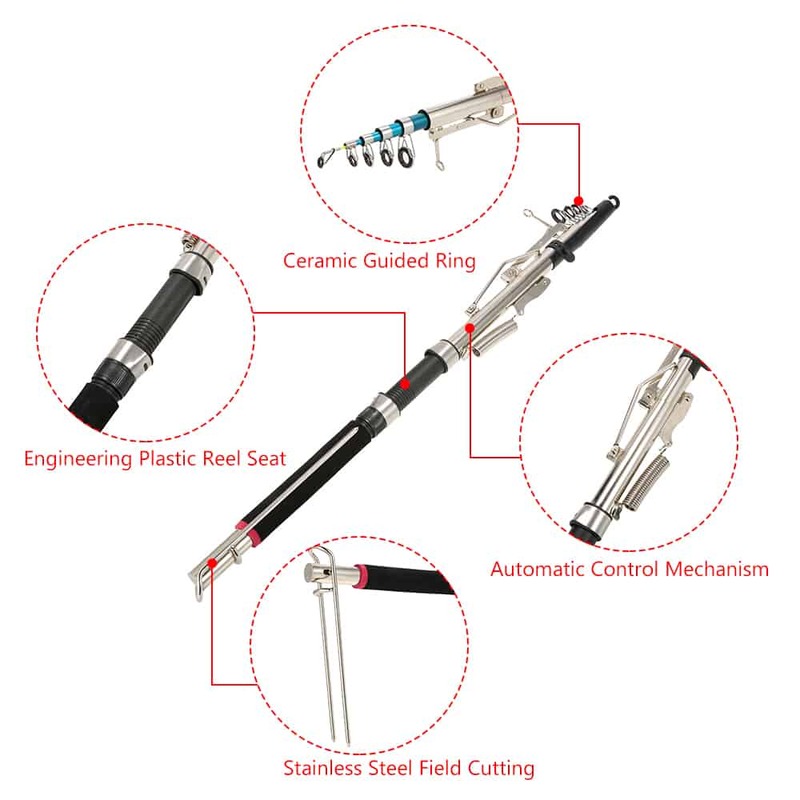 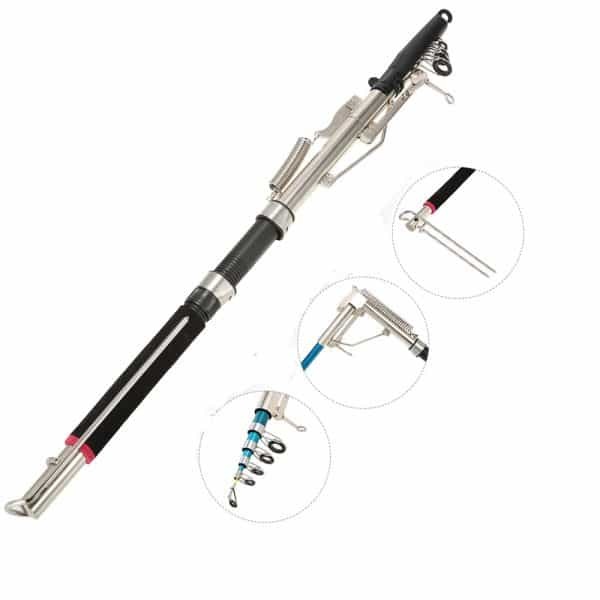 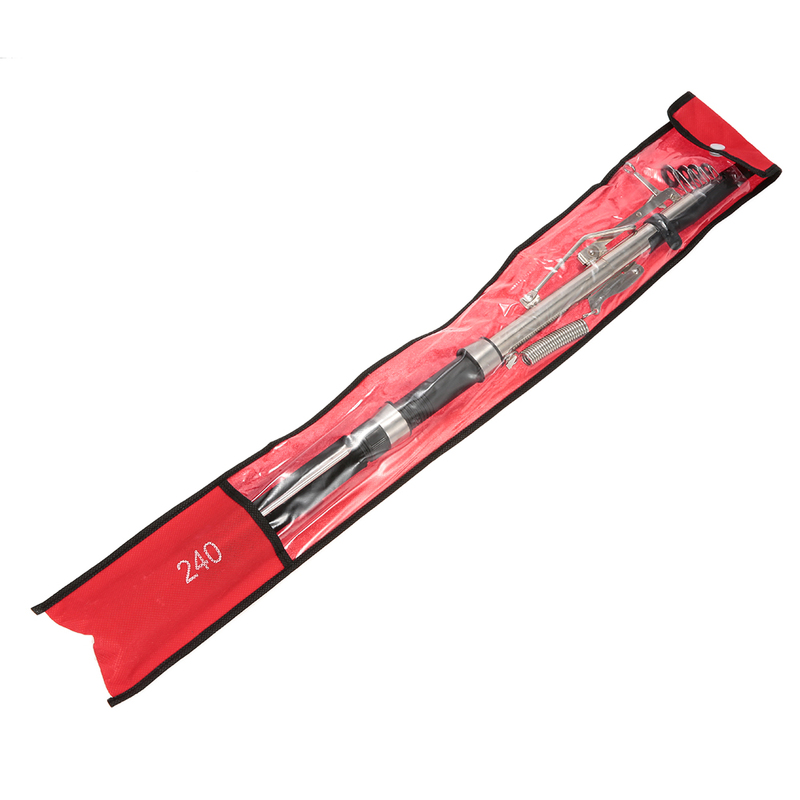 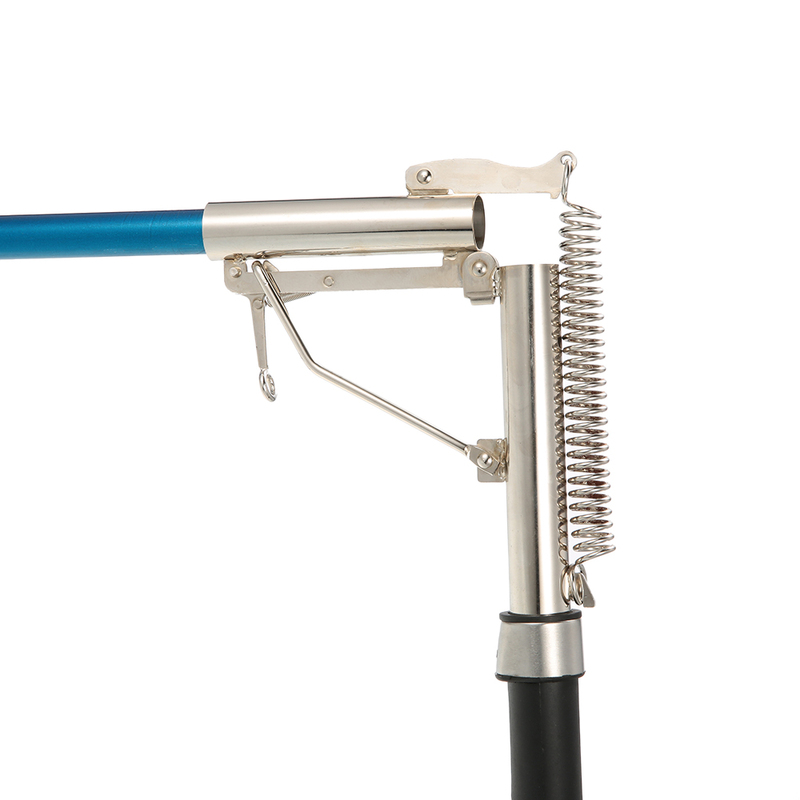 In this automatic telescopic stainless steel fishing rod, you will get exactly that. 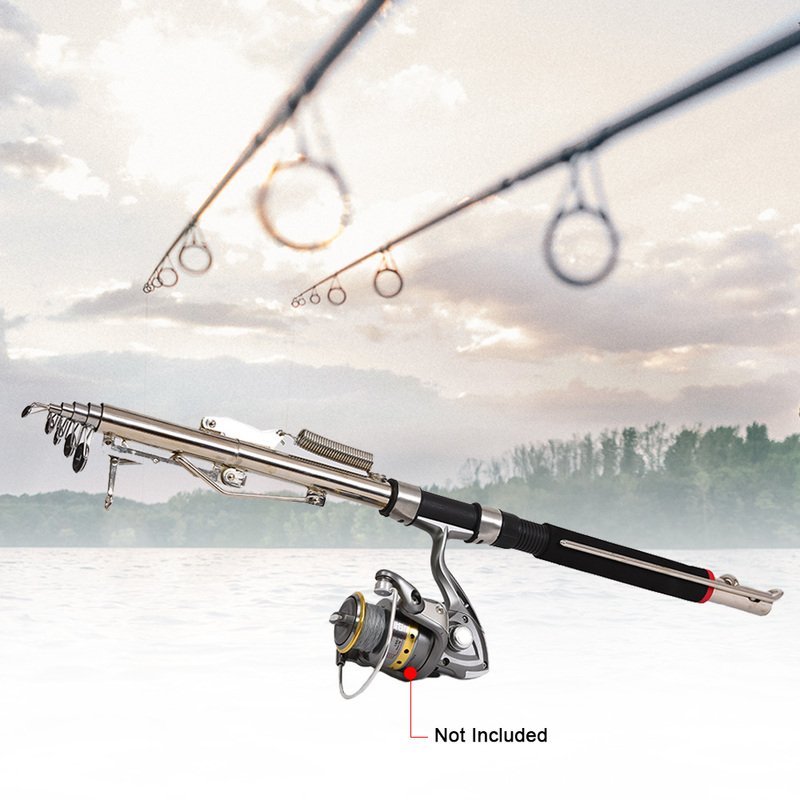 Very sensitive to any trigger, the automatic fishing rod has a device that can pull up the rod automatically from a line trigger activated by a fish. With this automatic trigger, you will not miss any catches from briefly stepping away from your rod. 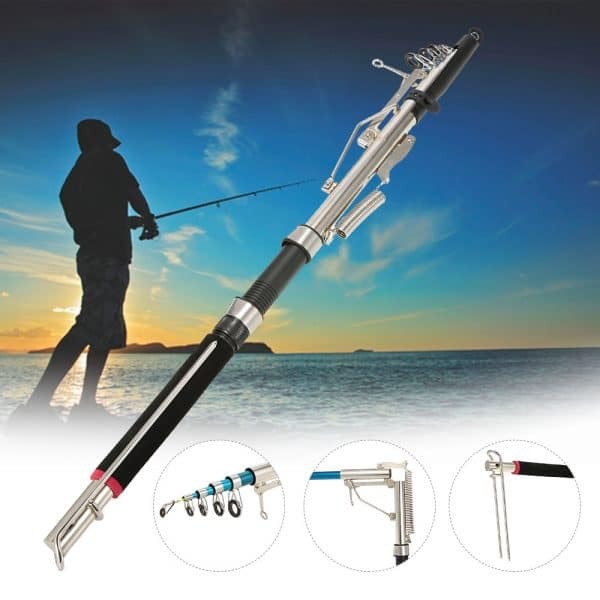 Made of glass fiber reinforced plastic, it is equipped with stainless steel field cutting which gives more convenience to any anglers. 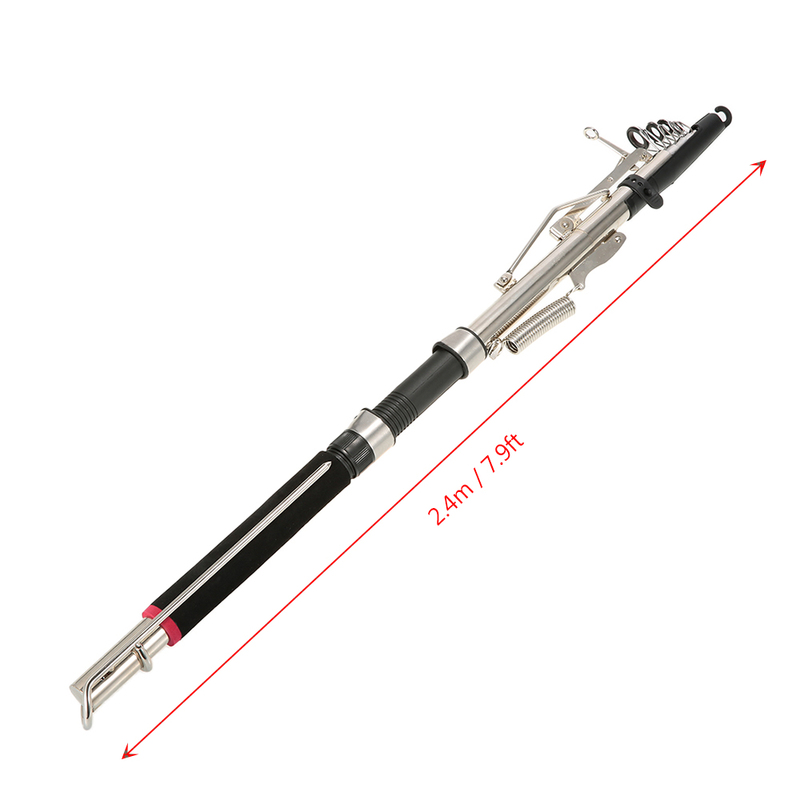 Convenient, this telescopic stainless steel fishing rod is also solid ready for any big catch. 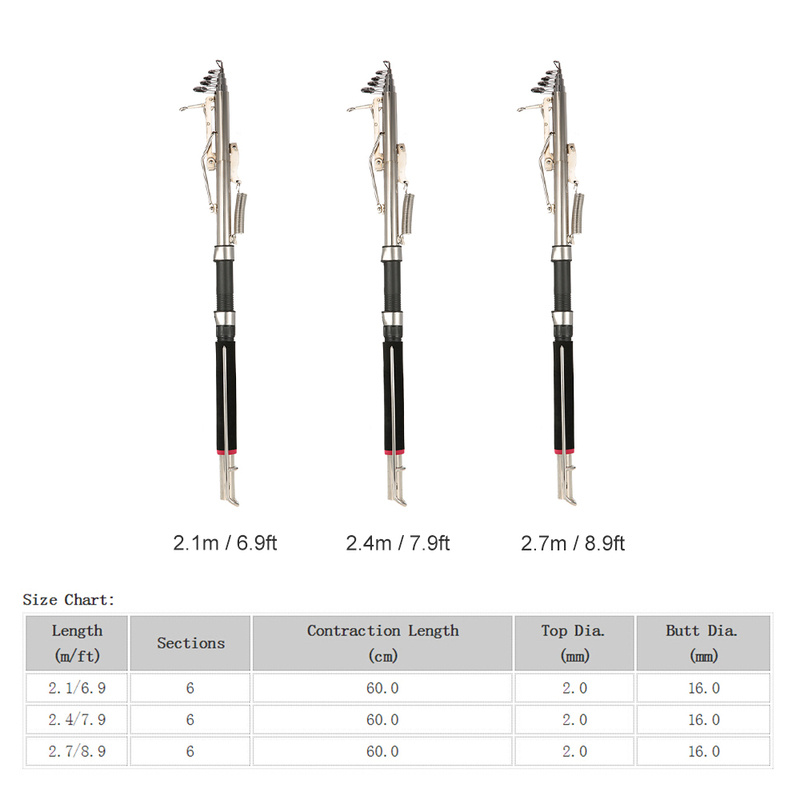 It has a great length once deployed reaching 2.1 to 2.4 to 2.7M (nearly approx. 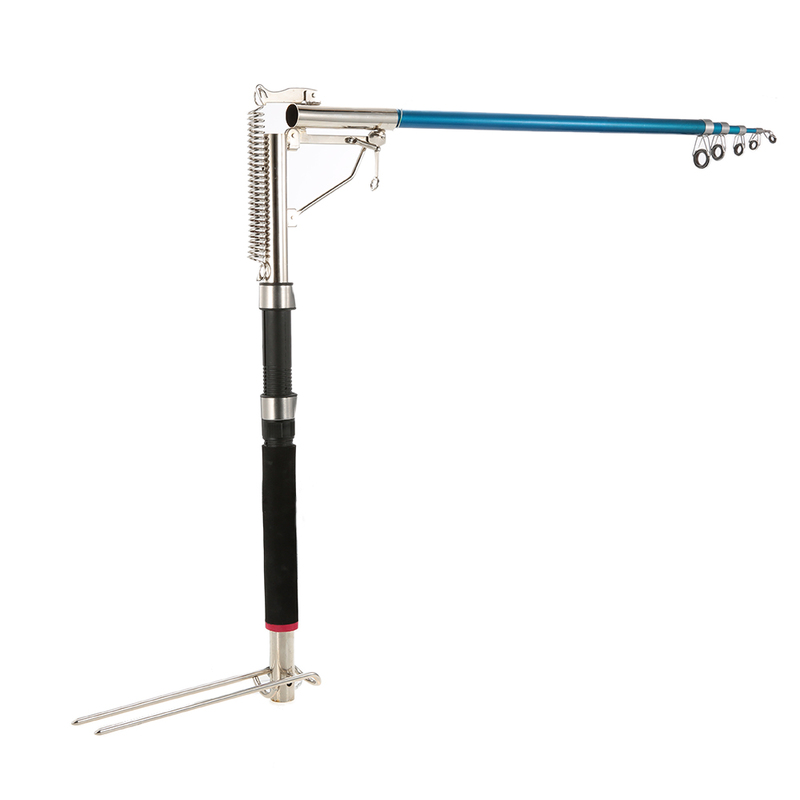 9 feet). 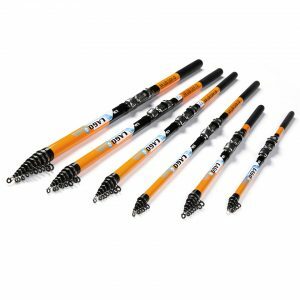 The non-slip EVA foam handle will not only provide a sure grip but also a great comfort feels for those long retrieves.